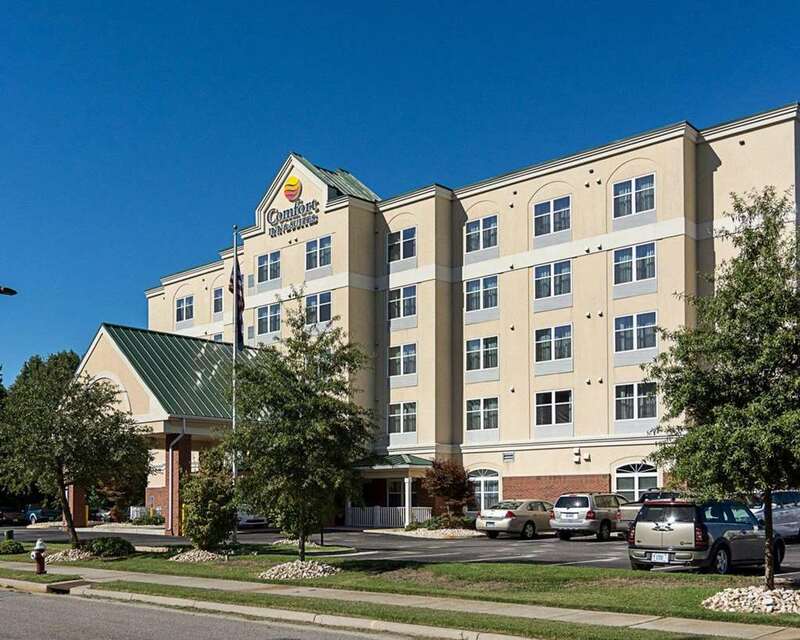 Rest and refresh at the 100 percent smoke-free Comfort Inn and Suites Virginia Beach-Norfolk Airport hotel in Virginia Beach, VA. We are near Chesapeake Beach, Norfolk Naval Base, Norfolk State University, VA Beach Amphitheater and Norfolk Airport, to which we provide free transportation. Additional amenities include free WiFi, free parking, free hot breakfast, business and fitness centers and an indoor heated pool. Behind every great day is a great night in your guest room, which features a refrigerator, microwave, coffee maker, hair dryer and iron. Also, earn rewards including free nights and gift cards with our Choice Privileges Rewards program. Contact hotel to arrange airport transportation. Rested. Set. Go.